Rosiee Thor began her career as a storyteller by demanding to tell her mother bedtime stories instead of the other way around. 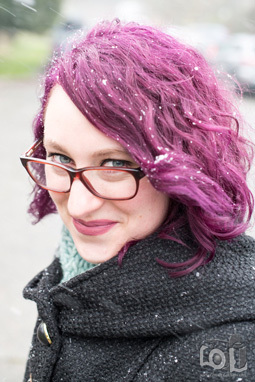 She lives in Oregon with a dog, two cats, and four complete sets of Harry Potter, which she loves so much, she once moved her mattress into the closet and slept there until she came out as queer. Rosiee is represented by Saba Sulaiman of Talcott Notch Literary Services.